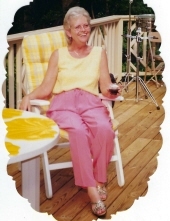 DURHAM: JoAnne B. Barker, 76, passed away on Saturday, January 12, 2019 at her daughter’s home in Roxboro. She was born in Casma, NC to the late Richard Allen Bowling and Inna Maybell Goodwin Bowling. In addition to her parents, Ms. Barker was also predeceased by her brothers, Raeford Bowling, Troy Bowling; and sisters, Geraldine Howard, Hellen Lewter. Ms. Barker was a member of Berea Baptist Church in Durham. She was a retired secretary from BASF Agricultural Group. Ms. Barker is survived by her daughters, Kimberly Westbrooks and significant other Scott, Elizabeth Deaver and significant other Jason; special friend, Donald Council; grandchildren, Tina Sanford (Scott), Andrew Simmons, Justin Deaver; and great-grandchildren, Isaac Sanford and Kendra Talley. A memorial service will be held 11 a.m. on Saturday, January 19th at Berea Baptist Church with Rev. Phillip Mumford officiating. A Celebration of Life will be held following the service. A private burial will be held at a later date. In lieu of flowers, donations may be made to Berea Baptist Church: 5011 Fayetteville Rd, Durham, NC 27713. To send flowers or a remembrance gift to the family of JoAnne B. Barker, please visit our Tribute Store. "Email Address" would like to share the life celebration of JoAnne B. Barker. Click on the "link" to go to share a favorite memory or leave a condolence message for the family.